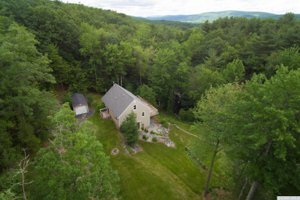 On the list of things that nourish the mind and spirit, elemental waters and the healing energy of nature are at the top of the list.This gorgeous property in Upstate NY real estate features its own spring fed pond, but is also only 5 minutes away from the pristine waters of Queechy lake. 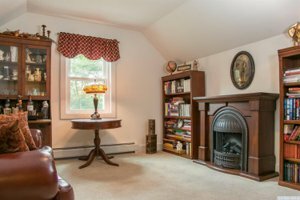 Owning a low maintenance home at 262 Vandenburg Dr, Canaan, NY that was built less than 15 years ago adds to low stress living that a property like this would provide for it's owner. 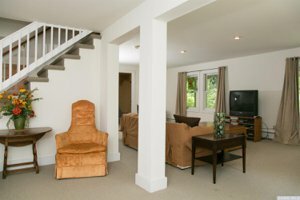 You will rest well in this property which has been used minimally over it's short life, meaning that you get a house in fantastic shape with all the benefits from being perfectly positioned in the idyllic countryside of Upstate NY real estate, in the Hudson Valley and in Columbia County, NY. It's hard to imagine that you would ever need to seek entertainment or fun outside of the joys of home ownership of this property, yet Queechy lake provides ample opportunity for fun and relaxation with rights to its beach and room to kayak, swim, canoe or float on an inner tube, depending on your mood, only a couple of miles away, close enough to ride a bike. Lenox, MA is only 10 minutes away from this home situated on the eastern border of NY, near the Berkshire Mountains. Music and the arts at Tanglewood are only a 20 minute drive away; far enough away to give you peace and privacy in your home base, yet close enough to make seeking the mental stimulation and harmony of beautiful music an easy effort with great reward. Should you find that you want to enjoy the benefits of organic food, Chatham, NY has a fabulous market that we encourage you to visit, as well as Tierra Farm. The Chatham Grill will let you have a hearty meal before walking over to the picturesque historical movie theater, the Crandell Theater, owned by the Chatham Film Club. If traveling to and from the NYC is your main focus, this property is only 15 minute from the Taconic Parkway, a lovely rolling drive through the countryside that connects Columbia to the hustle and bustle of the city. Outdoor activities might be your bread and butter, so consider that Bousquet skiing is less than 20 minutes away. Hike at Harvey Mountain state forest, or Ooms Conservation area, and then treat yourself to a massage and delicious spa treatments at Canyon Ranch in Lenox, Kripalu, or try a drink at Harvest Spirits Distillery. 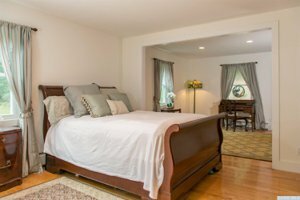 262 Vandenburg Rd has the master bedroom and master bath on the first floor, while guests have 2 BRS to choose from upstairs, or one w/bath and great room on the finished, walkout lower level. 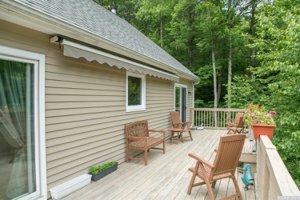 Featuring a great deck to read or grill on, garage, 3+ acres of privacy, quiet and accessibility to everything. 15 minutes to our office in Chatham - we'd be glad to show you. 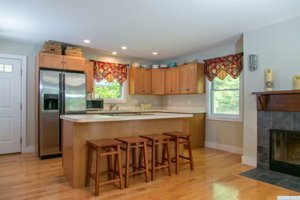 Rejuvenate yourself with water and nature at this gorgeous home in Upstate NY real estate or explore some of our other properties. We'd be happy to help you at our website.